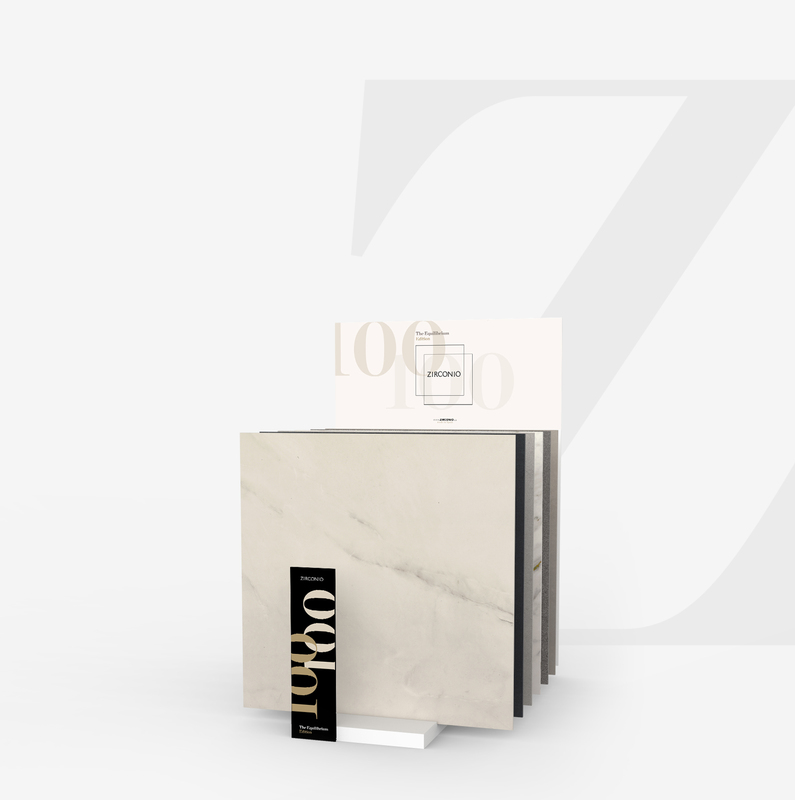 Zirconio came to Cersaie 2019 fair with their latest release: “the Equilibrium Edition”, that includes two impressive marbles, a cozy cement and a reddish oxide collection. All of them presented in a new 100×100 format. Balance, perfection and proportionality. Inspired by iconic elements of history and nature itself, we designed the graphic environment that surrounded this edition and created all their promotion tools. 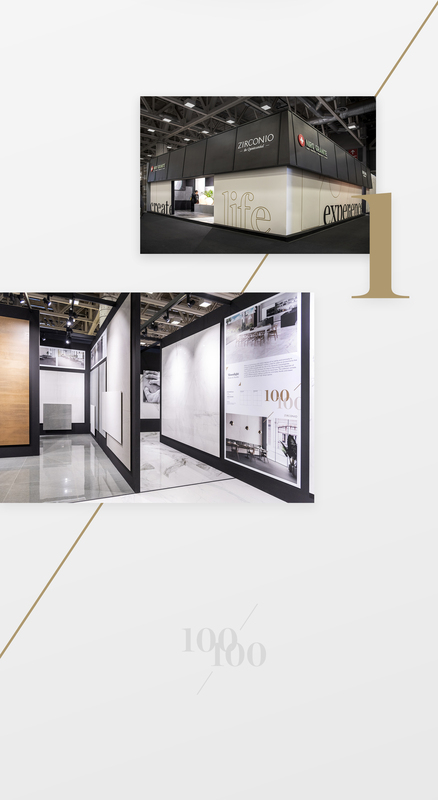 The start point of this project was the catalogue design. We proposed a minimalist design for the cover including a die cut with the letter Z. 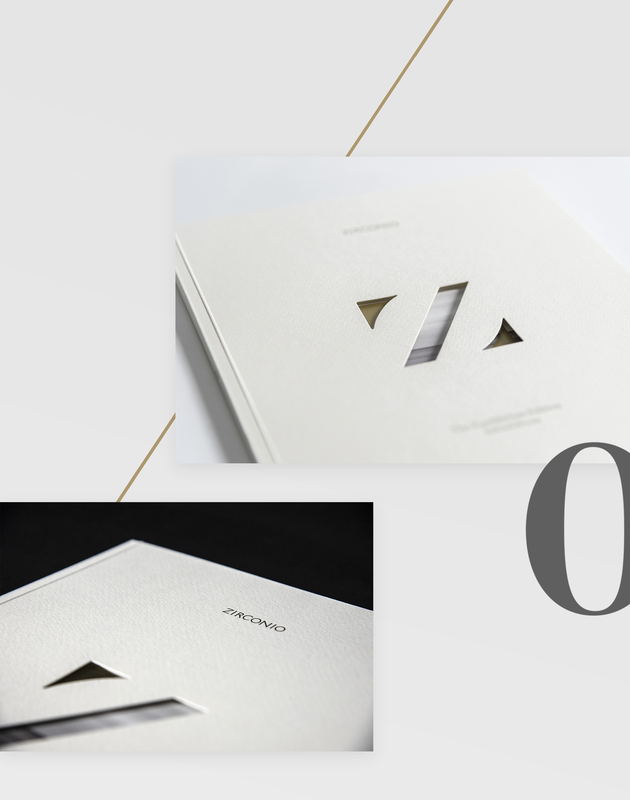 All the graphics were inspired by the 100×100 format creating squared spaces for collection copies and 3D mockups.